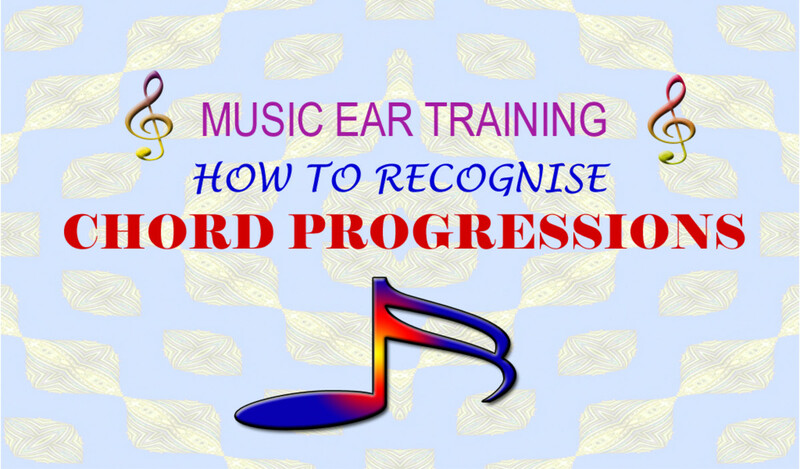 Recognising and identifying musical intervals by ear, especially intervals of the major scale, is a very useful skill for any musician to have and is an important part of music ear training and aural tests. Interval recognition is a skill that can easily be practised by listening to musical intervals and understanding and memorising their distinctive sound. Constantly testing your ability helps you progress faster, too. 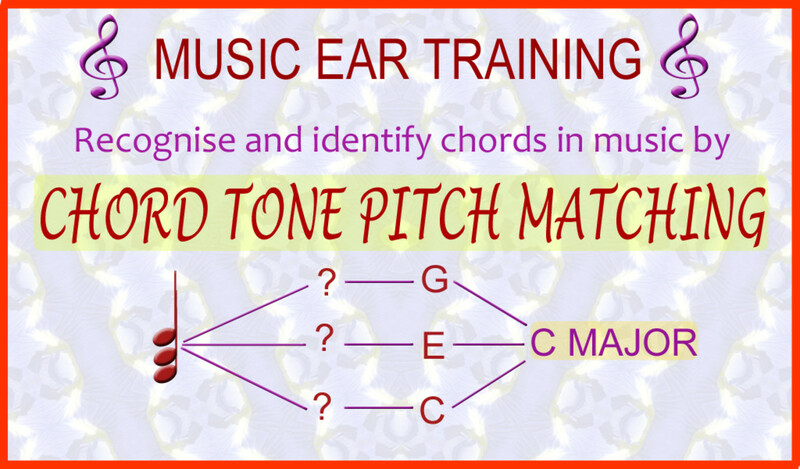 This music ear training lesson contains a short test where you can hear and try to identify ten major scale intervals. If you're not familiar with interval names such as 'perfect 5th, major 3rd, etc., you can still take the test and just name the upper note. The bottom note is always C, so just sing up the major scale from that note until you come to the upper note of the inteval that you're hearing The purpose of the test is to test your aural ability to recognise intervals, not your knowledge of what they're called. 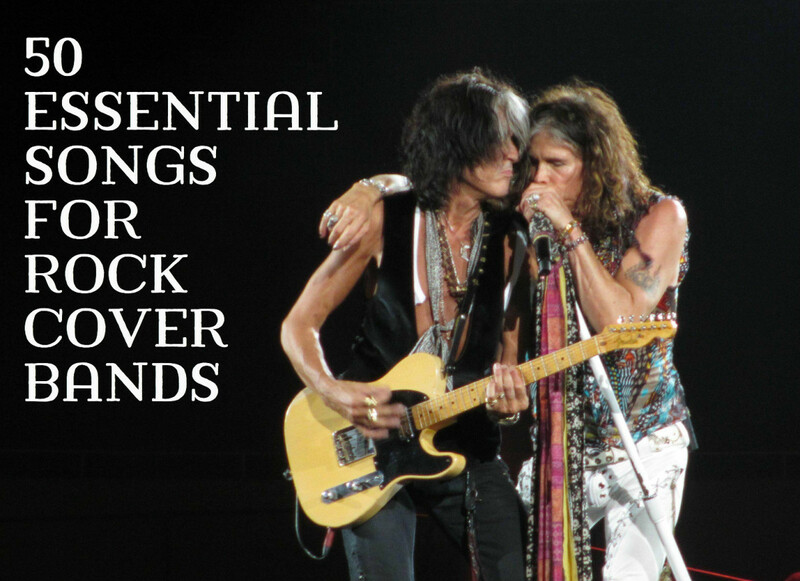 Having that knowledge of what they're called and how they're named is very useful too, however, especially when talking with other musicians or taking a music theory or aural test if you're a music student. You can learn all about intervals in the following lesson: "Beginners Guide to Intervals." Here are all the intervals that can be produced between the first, or tonic, note of a major scale and all the other major scale notes. 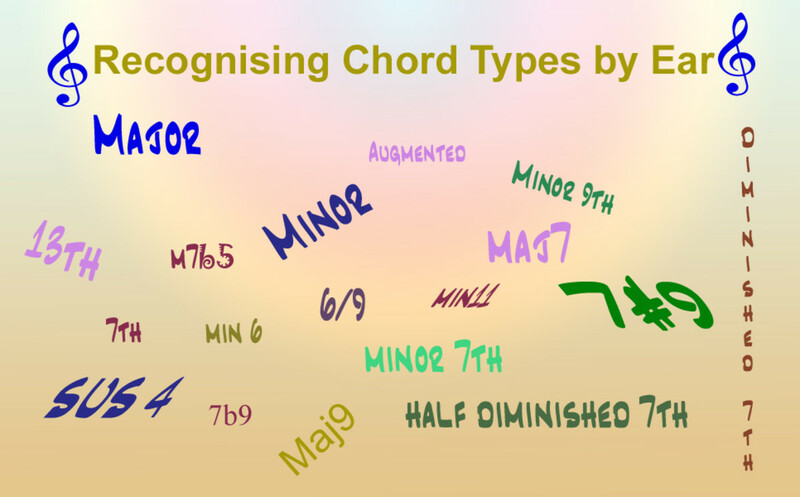 All major scales are exactly the same as far as intervals go so we could choose any major scale, but we'll go with C major as it has no confusing sharps or flats. For each interval listed below, there's an example of a familiar song that contains the interval between its opening notes (even if they're not all in the key of the lower note). These are all in ascending pitch order, i.e., the lower note is followed by the higher note. You can also find songs that start with falling intervals, but it's not really necessary. If you can't recognise any particular falling interval, just sing it in reverse and you'll probably recognise it in its rising form. This is the interval between two notes of exactly the same pitch. Some sources claim that it can't really be called an interval as there's no pitch difference. This is an easy one to remember. It's the first two notes of the major scale, often sung as "DO - Re (from Do Re Mi, Fa etc.) It's also the interval between the first two notes of Frere Jacques. As a harmonic interval (both notes heard at the same time), it's dissonant, meaning its notes clash. This is an important interval as it's the interval that determines major key music. You can remember it with the first two notes of Kumbaya. This is an easy one to remember as it gives a powerful start to songs such as Auld Lang Syne and Amazing Grace, although, in those cases, the upper note is the tonic. 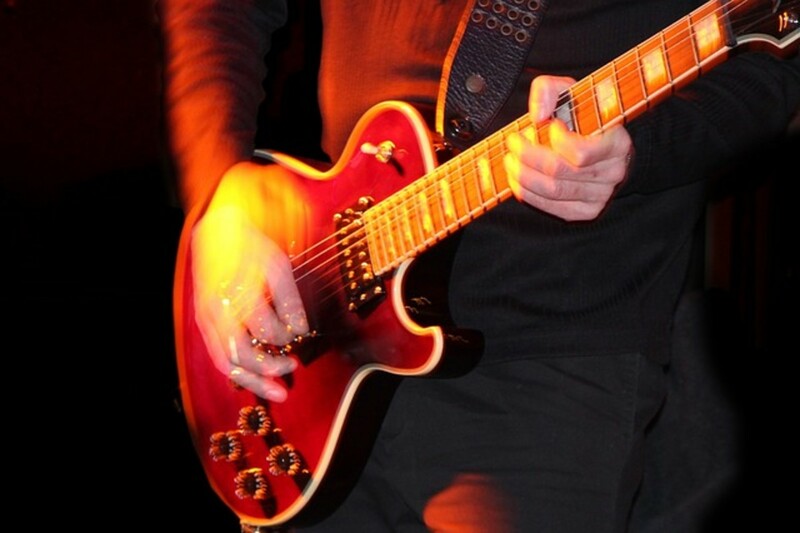 As the intervals get wider, they become far less frequently used in melodies, especially vocal melodies. 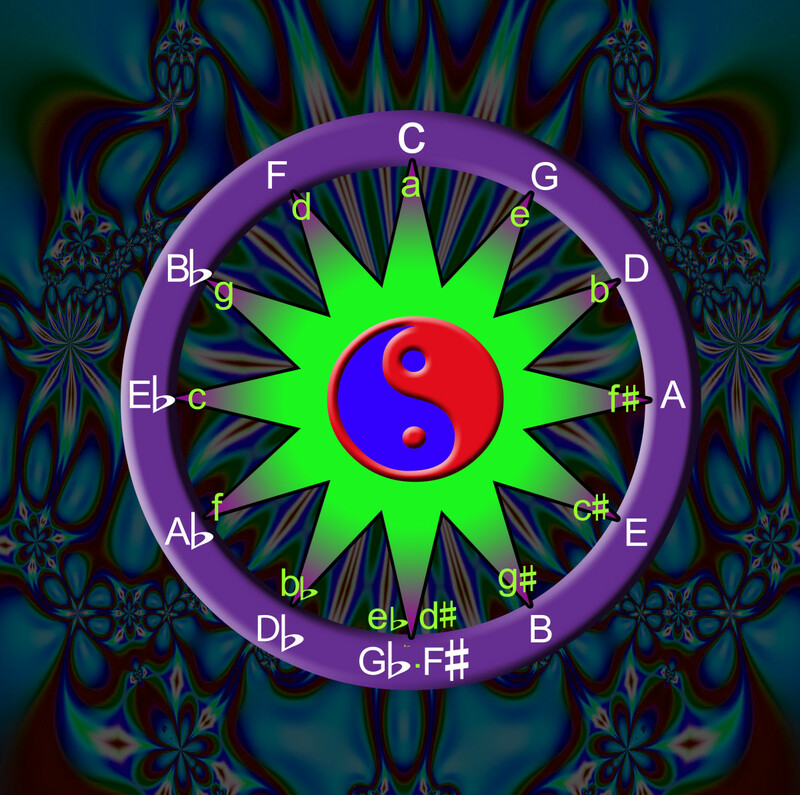 This is another important interval in music but more in harmony than melody. Melodically, it's not nearly so important and there aren't many well known songs that begin with this interval. The 1st and 3rd notes of Twinkle Twinkle Little Star, however, are separated by a perfect 5th (C-C-G-G...). The song My Bonny lies over the Ocean is probably the best known song that begins with this interval, but, just to be clear, neither of those notes are the tonic, which is actually a perfect 4th above the first note. It doesn't matter, like the opening perfect 4th of Amazing Grace, we can still use the song for recognising a 'stand-alone' major 6th interval.. This is a very natural-sounding melodic and harmonic interval, but not so common in the opening melody notes of songs. Over the Rainbow is the most famous example of a song starting with an ascending octave, though. The best way to practise recognising intervals of the major scale is to sing the major scale and practise picking out notes. 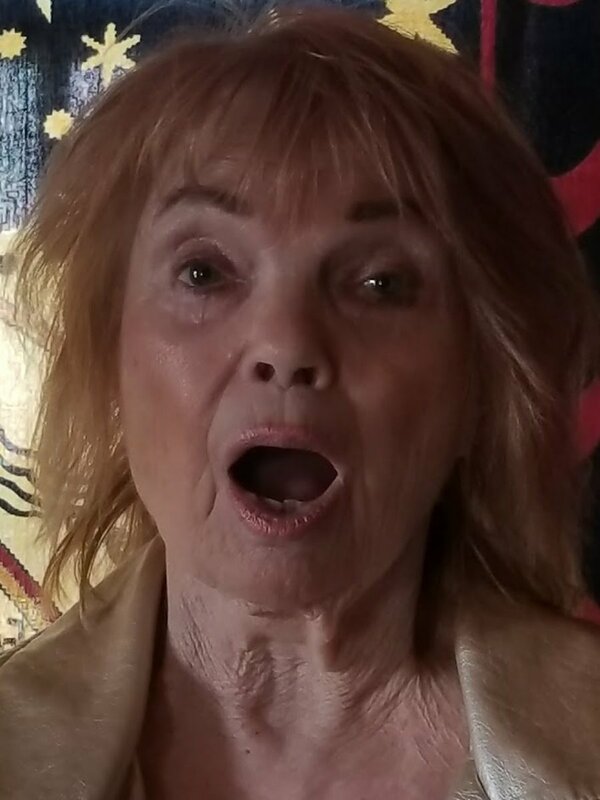 Singing the scale as "Do Re Mi Fa So La Ti Do" is a great way to impress them deeply in your mind. Associate intervals with the opening notes of well-known songs. See the 'interval focus' section for some tunes you probably know - otherwise find other tunes that you're very familiar with and that have the intervals between the opening notes, whether they form an ascending or descending interval. You can number the notes from 1 to 8 and write down a random series of digits, such as 145723, and try to sing them. Playing them on an instrument is a bad idea as that doesn't require any aural ability. Sing them instead and pay close attention to the interval between the notes. Each interval has a unique aural effect that can be memorised and recognised. Sing the notes in ascending order and then reverse the order so that you can be as familiar with descending intervals as you are with ascending intervals. Sing the notes of the interval in ascending order and then continue singing from the upper note to the octave above the lower note. The second interval you sing will be an inversion of the first one. This will let you practise other intervals that aren't available from the first note. For example, sing C up to E followed by E up to the next higher C. Obviously you can't do it with the interval of an octave. Also (apart from perfect intervals) the interval quality will change. Major intervals will become minor and minor intervals will become major when we invert them. So the major 3rd (C-E) will become a minor 6th (E-C) when inverted. 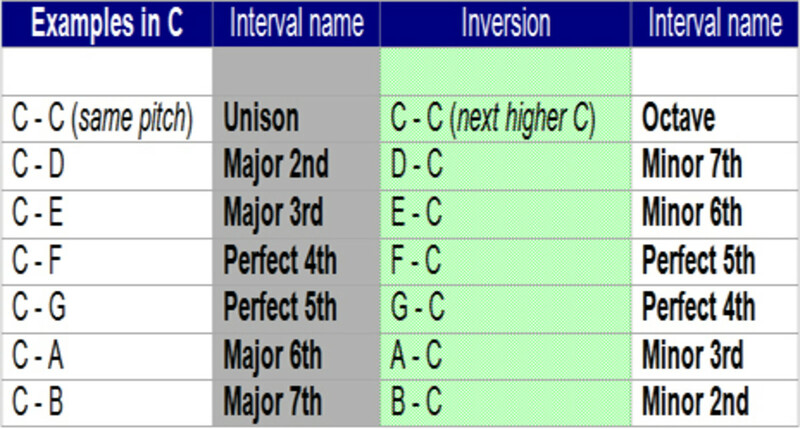 See the interval inversions chart. Think of some simple tunes in major keys and see if you can write down the notes of the melody, without using any instrument apart from your voice. The actual key doesn't matter,- think of it as C major or use solfege (Do re mi, etc.) Stay away from songs in minor keys for now unless you're confident about the intervals, which tend to be more variable in minor keys. What's important is to identify the key note of the song, which is the tonic note of the scale. It's not a problem as almost all simple songs end on the tonic. Use a free online interval ear trainer, such as INTERTRAIN, which lets you select the intervals that you want to be tested on and also lets you select how the notes of the interval are played, e,g., in ascending pitch order, descending pitch order or both notes at the same time. This lesson focuses on finding the actual notes of any chord and identifying it according to the intervals between the notes. This lesson focuses on the distinctive 'tonal effects' that chords in key-based music have with the key of the music and with the other chords when heard in progressions.